Attorney Nick Shannin wins Florida Supreme Court decision in favor of client seriously injured by negligent actions of employees at residential treatment facility - Shannin Law Firm, P.A. instead an ordinary negligence claim that should not be subject to all of the “onerous presuit requirements and restrictions of the medical malpractice statutory scheme.” The National Deaf Academy, LLC, v. Townes, No. SC16-1587, p. 1 (Fla. Apr. 26, 2018). Florida law imposes many requirements that an injured person must fulfill before filing a lawsuit for medical malpractice. These same requirements do not exist for a lawsuit filed for negligent acts that do not involve medical malpractice. 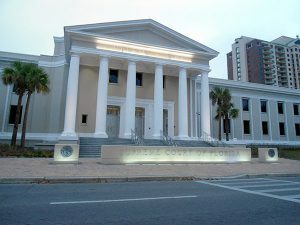 As the Florida Supreme Court has explained, the Florida Legislature “has restricted plaintiffs’ ability to bring medical malpractice claims…[and] any doubt as to whether a claim is for ordinary negligence or medical malpractice should be generally resolved in favor of the claimant.” The National Deaf Academy, LLC, v. Townes, No. SC16-1587, p. 9 (Fla. Apr. 26, 2018). This important decision, in addition to allowing Ms. Perry to pursue a remedy for her significant injuries, clarifies what had been a discrepancy among Florida’s appellate courts. The Florida Supreme Court ruled that medical malpractice claims must be “directly related to medical care or services, which require the use of professional judgment or skill.” Just because an injury occurs in a treatment facility or involves a patient under the care of medical personnel does not automatically require the injured person to operate under the medical malpractice statutory scheme. To read the Florida Supreme Court’s decision, click here.